We were asked a couple of times a few nights ago about our Max's story. I was a little dumbfounded but learned that they've actually got a point. In my calculation, I have done about 12 weddings, with me as the ring bearer and coin bearer, dressed in silly old english outfits, because my Mom has 13 siblings, and I have about countless number of cousins who found me cute to do this deed in their wedding. Not to mention the press conferences, birthdays and special occasions we always do there. We all have our own Max's story, but during this event, we're celebrating Max's birthday. 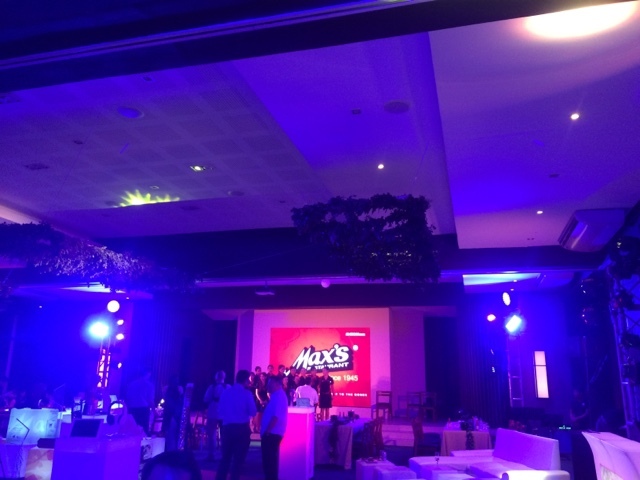 Yes ladies and gentlemen, Max's is celebrating their 70th year! From their humble beginnings as a go to place for expats in the 1940's and to a full time business in 1945, Max's has stayed a family owned business til now. They are also hiring people from the relatives of their original people and have continued to help other businesses grow. They also now own a huge hotel in Roces Avenue called Meranti Hotel. Here's a small video I made about the event. Thank you Max's and congratulations on your 70th year!